Traveling abroad? To help prevent fraud, if you are planning to travel abroad, please call CSCU at (209) 444-5300 or (800) 675-5114 and ask for our Credit Card Specialist to authenticate your card for use in other countries or to learn about alternate forms of payment. 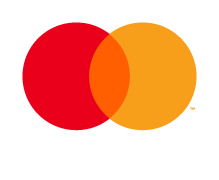 Secured Mastercard – Secured Mastercard requires 150% of the amount of the line of credit to be pledged and maintained on deposit. First Time Borrower (FTB) = Less than 3 year credit history and a minimum of 1 year continuous employment $500.00 Maximum limit at Tier 5 Rate. First Time Borrower (FTB) — with no credit history and a minimum 1 year continuous employment $300.00 Maximum limit at Tier 5 Rate. One of the many benefits of a CSCU Checking Account is a Mastercard Debit Card. Pay like a credit card with funds drawn from your CSCU Checking Account. Use it as an ATM card and make surcharge-FREE withdrawals at over 28,000 CO-OP® ATMs nationwide, thousands of MoneyPass ATMs and CSCU ATMs. Make up to 3 FREE ATM withdrawals at any non-CSCU ATM network per month. No CSCU point-of-sale transaction fees at gas stations, grocery stores, restaurants or other merchants that accept Mastercard or ATM cards. NO finance charges or annual fees! Convenient – You don't have to go from store to store searching for the perfect gift. Secure – Register the gift card and eliminate worries if it's lost or stolen. You can purchase Visa Gift Cards in denominations of $25 to $1,000 at any CSCU branch or online today! To obtain balance information on a VISA Gift Card purchased at Central State Credit Union please call (866) 244-5360.